September 17, 2016 July 22, 2018 Categories Faith, FearFaith, Fear, God, help, Holy Spirit, Jesus, Joy7 Comments on Where Does Your Help Come From? I’m not proud of the fact that when walking into the garage one night, I shoved my daughter into the path of an evil, demonic critter while running for my life. There’s one sure-fire way to send me into sheer terror and everyone close to me knows not to even say the word. In fact in our home, we spell the name of the beast, quietly and only if absolutely necessary — s-n-a-k-e. Walking the neighborhood today, I found myself scanning the ground in my usual way, eyes like s-word radar. As I visually verified the tubular object at my 2 o’clock was indeed a stick, a thought occurred to me. As I walked step after step, I was completely focused on my fear. My eyes and my mind were concentrating solely on the thing I feared most. At that moment a scripture entered my mind. I stopped in my tracks becoming intently aware of how focused I was not just on this one intense fear, but on my problems, my disappointments, my insecurities, my shortcomings and everything that was not right about my life. After months of being tossed and turned by several intense and traumatic events in our family, I had grown despondent. Although I hadn’t admitted it, I knew I had buried myself in sadness. My head hung low focused on fear of what was going to jump out at me next. I stared down at everything that was wrong while also looking for everything else that could go awry. And then Psalm 121 rolled through my mind again. I raised my head. The sun was shining. The sky was blue. I hadn’t even noticed. For a minute I simply let the sun warm my face and took a deep breath. Something I had not done in days although I hadn’t realized it until now. Head up this time, I started walking. I felt a breeze wrap itself around me like a hug from an old friend. I could feel my face soften, my mind wake up and my heart swell. Still walking, I was tempted to look down. I wanted to look down. I needed to look down. I was afraid not to look down. My fears were distracting me from walking in the light, from looking to the hills, from keeping my eyes on the sun. And then I felt the brick hit me in the face…. I had been looking down for so long so focused on my fears, I had lost sight of the sun – of the Son. It feels safer to focus on our problems. We convince ourselves that if we are looking at them, we will be prepared… we will have plans in place to solve them. And that is where Satan wants us. 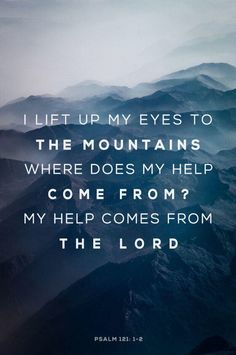 With our eyes up, we can trust that God our Father is watching over us and will alert us to problems in our path. When we keep our eyes on our Helper, He can direct us and keep us focused on His plans… not our own. great reminder to not focus on our problems. Thank you mom! Love you. Thank you for being a wise Godly woman. wow mom, that was awesome. exactly what i needed to hear. thanks for making me read this and being such a woman of God and great role model for me. i love you! Ah you are so very welcome! That is the greatest compliment a mom could ever hear from her child. Love you bunches.